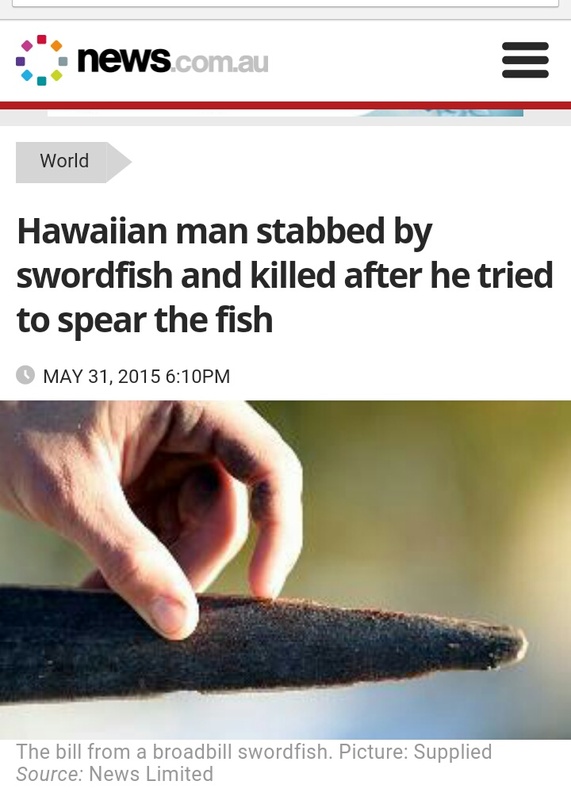 A Hawaiian man died after he was stabbed in the chest by a swordfish he was trying to spear. Previous Post Aquatic Veterinary Medicine is now officially a recognised area of specialisation. Next Post Coolest aquarium designs.